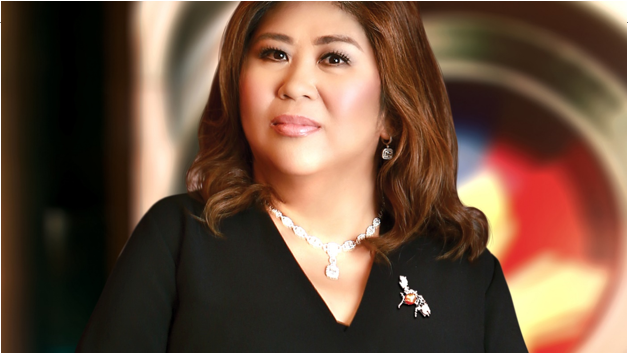 Jessica Soho, veteran broadcast journalist of GMA and a graduate of the University of the Philippines was given the Gawad Plaridel award for this year. The U.P. Gawad Plaridel is the sole award in the University of the Philippines System given to outstanding media practitioners. It is very timely that during the award speech of Ms. Soho, she narrated the important role of media today, most especially the word "fake news" that was well known due to the credibility of some media company to deliver the truth in every story they tell to the people. As mentioned in her speech, content is a vital ingredient in making a top story. News is not about what only people wanted to hear and read, it is the truth to every story that the people need to know. Soho even mentioned these key points of her life lessons to aspiring journalists and media practitioners who wanted to enter media in particular the millenials. This is where she mentioned to practice what they have learned with their strict professors, because those teachers are the best person with experiences. 1. Read, read, read. Do your homework. 2. Because, substance is key! Content will always be King! The internet is only the platform or the distribution highway. 3. The story is The story! It is never about you! It should not be about you. UNSELFIE . You will never, ever know enough so to learn more, be humble. 4. Ask the tough questions; not the motherhood or generic ones. 6. Failure is a prerequisite to learning and success! Prepare for it and once it happens, get back on your feet fast and learn good. There are no mistakes in life, only lessons. Positivize your hugot. 7. Journalists should not have comfort zones! Every day, every story is different. Stress, sleep deprivation, missed meals, cancelled or shortened vacations are guaranteed. Deadlines rule!!! Like a colleague once said, Journalism is never easy; it is a far bigger cause than any of us. Go for the terror teachers! They’re really the best! 8. Do the right thing. Even when all else fails and even if you’re the only one doing it. As our election coverage battlecry goes, and may I claim credit for it, Dapat Tama! Soho as a graduate of U.P. shows an epitome of wisdom in promoting responsible journalism. Not being biased in every story she aired in television, exerting effort in making research and exposing on the truth. Soho was very thankful for all her mentors and the people who have helped her through her years in GMA. And was very happy receiving the award, where she said during the speech, her course in college just happened to be an accident just to escape the 12 units of Math required in Political Science. She ended her speech with an inspiring quote: "As we say in UP, Kung hindi tayo/kayo, sino? Kung hindi ngayon, kelan? I say--That should be The story of every Iskolar ng Bayan." "Chancellor Michael Tan, Professor Wendell Capili, Dean Elena Pernia and Malou Choa-Fagar, President of UP College of Mass Communication Alumni Association who insisted on nominating me even if my colleagues and I have given up. Thank you very much, Malou! Ito na ang pinaka-bonggang awarding na nadaluhan ko . Thank you very much for making me feel so important! There is one question that’s often asked in our newsroom, then and now, especially to our reporters and news teams, going to or returning from the field: What is YOUR story? Anong istorya o balita mo? Na para bang to everyone in the newsroom, THAT was all that mattered. Your worth or market value for the day. No, “How are you’s” or “Are you okay’s.” It is an accepted fact among journalists that you’re only as good as your last story. Great if you had a scoop or an exclusive or you covered something important. Sorry ka na lang if your story did not amount to much, although there is always another day to make up for it. These days, a lot of people are asking that same question, even outside the newsroom and even among non-journalists. What is your story, your truth or your messaging or your narrative? Mine is actually very simple. A Promdi, or a small town girl, who made good. As one of my cameramen used to say, pinabili lang ng suka, naging reporter na. Which was true to a certain extent because I did not plan on becoming a journalist. Journalism, as a course in college, was just an escape from the 12 units of Math required in Political Science. Babala, mga bata. ‘Wag gagayahin. Lubhang mapanganib! Today, I stand before you as you honor me and my life’s work when really, the credit should also go to everyone who has helped me in my more than 33 years in broadcast journalism. From my earliest mentors in the newsroom- reporter and deskman Rey Vidal, audio-visual head Steve Serna and my cameramen; to my former bosses – Tony Seva and Tina Monzon-Palma, Marissa Flores, Nessa Valdellon, Grace dela Pena-Reyes; to those who taught me how to connect better to a wider set of audience – Bobby Barreiro and Tony Tuviera; to Atty. Felipe Gozon for putting me on primetime and for all the help; Jimmy Duavit and Felipe Yalong for all their support and to all my colleagues in GMA News and Public Affairs including the current and former staff of Kapuso Mo, Jessica Soho, BRIGADA and State of the Nation with Jessica Soho. Wala ako rito, kung hindi dahil sa inyo. I started out tabula rasa, like a blank sheet of paper, walang alam bukod sa makapal ang mukha at nakahandang gawin ang lahat, magkatrabaho lang. I would not have minded had they made me answer the telephones or make coffee or man the teleprompter. There was just so much to learn and it was all so very exciting! I cannot overemphasize that enough. Because THAT is what we’re really here for; the reason for our being, if you will, and what we should all continue working hard for. To get it – right ! Going after The Story has brought me to some of the most dangerous places on earth. In 1989, my crew and I joined a team of government and military officials for a trip to the Spratly Islands long before many Filipinos have heard of it. Our small airplane lost its way and worse, almost ran out of fuel. We all thought we were going to die and there was nothing to do but pray. But just in time, only minutes before our plane’s engine conked out, our pilots spotted a small island, in what seemed like the middle of nowhere. Miraculously, it had an airstrip! We were saved but because the island was in the southernmost tip of Palawan, near Borneo and before there were satellite or mobile phones; our office and families in Manila were already preparing for the worst, and even our obituaries. 2001 saw me and my crew in Kabul, Afghanistan. This was one year AFTER the Taliban fled the city and I thought we were safe. Until a landmine almost killed us. You’ve probably seen the video, thanks to Mannix Lazaro, our cameraman who was only about 10 feet away from the explosion. Of course, I love my job but I also sometimes ask existential questions. Why am I here? Is it all worth it? Why we do the things we do and for what? Every time I ask those questions or rant, it goes back to the same answer: The Story. Many journalists have died pursuing it. Tyrants resort to killing, hoping they’d kill The Story, too. Leaders in the Philippines and even in the United States have fallen because of it. It sounds so basic and fundamental but The Story is very powerful! I’ve had my share of fighting battles to defend it. Some were won, some were lost but life goes on. Some people may think there is a dichotomy or a difference between being a Filipino and being a journalist but I don’t. I am both. I am a Filipino journalist and I am not torn between public interest and the truth. I do not see any conflict there because at the bottom of it all is The Story. The Truth. The Story can never be changed nor revised, even if memories are short. Pagbali-baligtarin man natin ang mundo. And I have Tina Monzon Palma to thank for, for this most important lesson that saw me through some pivotal crossroads in my career. She was the one who hired me and it was also through her example and courage that my newsroom contemporaries and I learned the value of upholding the truth, no matter what. To defend the integrity of The Story. And we need more of this in these perilous times. When journalism and journalists are under attack by those who try to discredit us and undermine our credibility. In a manner both cunning and brillant, let’s grant them that – by mirroring us and our content and passing those as news, when clearly it’s not. I say fake news is nothing more than a deliberate distortion of the truth and of reality. Some people can’t handle the truth so they make their own or their version of reality, which is really nothing more than falsehoods or lies. And so today we hear of post-truths, alternative realities and the latest--truth isn’t truth. At a time when we’re supposed to be knowing better and communicating more. The scary part is; fake news has been weaponized. It has become so powerful it is believed to have influenced the outcome of the US elections, no less! Imagine, the most powerful person of not only the most powerful country but of the whole world, a beneficiary of fake news!!! Simply by being more discerning. Get your news from trusted sources, not primarily from your own news feeds. Don’t believe anything just because it’s been repeated or retweeted or liked a million times. It is never a popularity contest. The Truth is determined NOT by algorithms or the number of posts, likes,tweets or engagements but by facts and facts alone. And please, fact-check. You have the tools and the apps and all you need is the click of a button or a swipe of a finger. Let’s all dig deeper, work even harder. The only antidote to fake news is The Truth. The Story. Professor Rachel Khan has asked me to include in my speech or lecture the importance of having the right values. Kaya pasensya na kayo, mga millennial diyan, alam ko you don’t like being preached to. But I think it’s important that we all do our share and because this is supposed to be a lecture too, I don’t mind if you take down notes. For those of you wanting to join us, in broadcast or print or digital or film or communication research —I think it is very important for you to have the right values. The technical stuff you need to learn and store in your head but the right values, you need to live by and encode in your DNA. Importante siyempre ang laman ng utak, pero mas lalong mahalaga ang laman ng puso. The three functions or purposes of communication--to inform; to educate; and, to enlighten; all go hand in hand. It’s a package deal and ideally should not be taken separately. Just as the University’s code of honor and excellence, as Professor or Tita Winnie Monsod has so aptly put it, should also be lived by TOGETHER and in THAT order! Excellence alone will not suffice. It needs honor and honor should be FIRST! Sa totoo lang, when I was asked to give my mantra in life for today’s souvenir program, it did not come easy. In the end, I settled for “Every story is important”- which is really what I live by. Every story is important. A small, minor story could lead to a major expose! Kidneys for Sale, my documentary on poor Filipinos who sold their kidneys, started out as a mere follow-up story to a crime. It was not a major story; it was in the inside pages. A prominent kidney doctor was ambushed; he survived but not his daughter who was with him in the car. When I went to the police station to get an update; the station commander turned out to be an old acquaintance from my years of covering the military and the police. Next thing I knew, he was showing me pictures of about a dozen men from Baseco compound in Tondo, with diagonal cuts on the side of their torsos where one of their kidneys was harvested. You connect the dots, as they say, but first you have to find those dots and ask the right questions to the right people. Looking for missing people was just an out-of-the-box idea in Jessica Soho Reports, our late-night news magazine program before they put us in primetime with Kapuso Mo, Jessica Soho. We couldn’t brainstorm good topics on a particular week when there wasn’t much breaking news. And so I asked why don’t we do a story about missing kids? The following day, after our episode aired – the three missing kids we featured were all happily reunited with their families. If we harness television’s immense power, reach and impact, wala pang social media nun, you can help people solve their problems! From that episode was born a weekly program locating missing people- Sana’y Muling Makapiling followed by Reunions with an average of 3 families reunited per week or a total of 800 families reunited in a span of six (6) years. The same story concept has been carried on in Kapuso Mo, Jessica Soho. KMJS reunited Joel and his biological mother after more than three (3) decades! Joel was lost when he was 5 and adopted and brought to Australia by his adoptive parents. Ryan, the OFW from Italy was likewise reunited with his biological mother, 38 years after he was given up for adoption. A staff member put it all together when he said –- “more than the ratings, we’re gaining points in heaven”. To be a journalist is to be a truth-seeker. Someone said that to seek the truth is to shine the light even on the darkness of our soul. We also need to somehow keep the hope alive. By capturing a reality where not only the bad happens but the good too. The world may be broken but it can be fixed and the good people still outnumber the bad. Our generation and those before us have failed to solve many of our problems. But I am hopeful you, our millennials, will do better. With so much power in your hands and your limitless potentials, please turn things around! Make this world a better place, no matter how much of a cliché that sounds. Use your so-called “sense of entitlement” to demand and make possible better things for your generation and those to come. They say your generation is more inclusive and more open to possibilities. That should also mean less barriers, less walls to overcome; that you will be more accepting of others and to stop the spread of hatred not only on social media and to level up the discourse or discussions on issues! As we say in UP, Kung hindi tayo/kayo, sino? I say--That should be The story of every Iskolar ng Bayan."